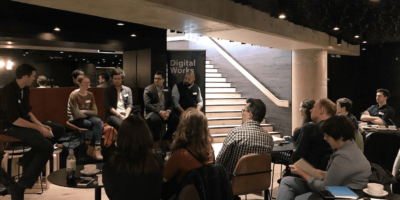 Digital Works was born from our observation that the best conversations at conferences come, often, not from the speakers themselves, but triggered by questions asked to speakers or between the delegates during the coffee break or in the pub. There was also a frustration that digital folk in the arts, who are all-too-often lumbered with a head-spinning array of things they’re expected to be experts in, are rarely given the opportunity to come together and discuss things. Digital Works #8 will take place in March or April 2019, date and location TBC. if you are interested in speaking at, attending or hosting a future Digital Works event then please drop us a note: events@substrakt.com. Who? Speakers included Robbie Beak (Ammba), Chris Unitt (One Further), Sam Knight (Substrakt). We welcomed participants from organisations including Birmingham Hippodrome, The Roundhouse, Exeter Northcott, Royal Albert Hall, London Theatre Company, Snape Maltings, Royal Court Theatre, Directors UK, English National Opera, Grange Park Opera and Waddesdon Manor. You can read a full write-up of the day here. Who? Speakers included Aoife Breen (English National Opera), Chris Unitt (One Further), Katie Moffat (Audience Agency) and Joe McFadden (Royal Opera House). 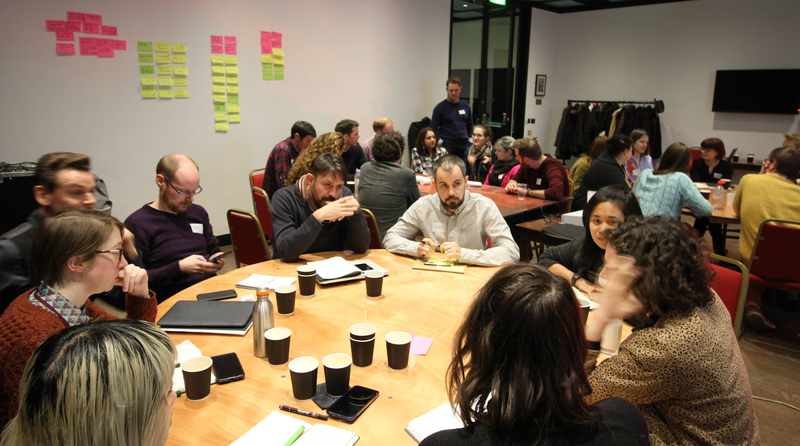 We welcomed participants from organisations including Nesta, Cardboard Citizens, Birmingham Hippodrome, Hepworth Wakefield, Royal Albert Hall, Shakespeare Birthplace Trust, London Theatre Company, Snape Maltings, Royal Court Theatre, Bush Theatre and Sadler’s Wells. Who? Speakers included Sarah Gee (Indigo Ltd), Will Stanley (Science Museum) and Emma Forward (Royal Academy of Arts). We welcomed participants from organisations including Cambridge Live, Grange Park Opera, Birmingham Hippodrome, Hepworth Wakefield, Roundhouse, Royal Albert Hall, Nottingham Theatre Royal & Royal Concert Hall, Shakespeare’s Globe, Bridge Theatre, Snape Maltings, English National Ballet and the V&A. Who? Speakers included Aoife Breen (English National Opera), Jordan Ahmadzedah (Shakespeare’s Globe), Matt Griffin (Royal Albert Hall) and Nicholas Triantafyllou (Barbican). We welcomed participants from organisations including Birmingham Hippodrome, Nesta, Roundhouse, Central St Martin’s, Royal Court, Southbank Centre, Bridge Theatre, Science Museum, Royal Academy of Music, Directors UK and Opera North. Who? Speakers included Chris Shipman (Royal Opera House) and Jo Carnell-Phipps (Illuminate Digital). We welcomed participants from organisations including Nesta, Roundhouse, British Library, Bush Theatre, Waddesdon Manor, Royal Albert Hall, Really Useful Theatres, Sadlers Wells and Shakespeare Birthplace Trust. Doug Buist (Shakespeare’s Globe), Nick Eagleton (Superunion).